Love is one of the few things in this world that you have more of the more you give it away; but the more you refuse to give it, the less you’ll have. 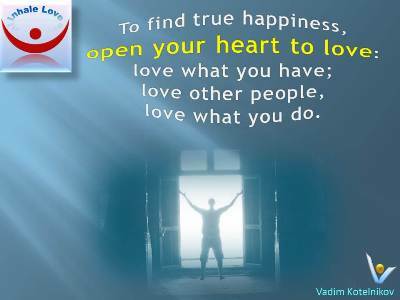 To find true happiness open your heart to love, love what you have, love other people, love what you do. Let this be my last word, but I trust in thy love. "How wise are they that are but fools in love!" "All mankind loves a lover."